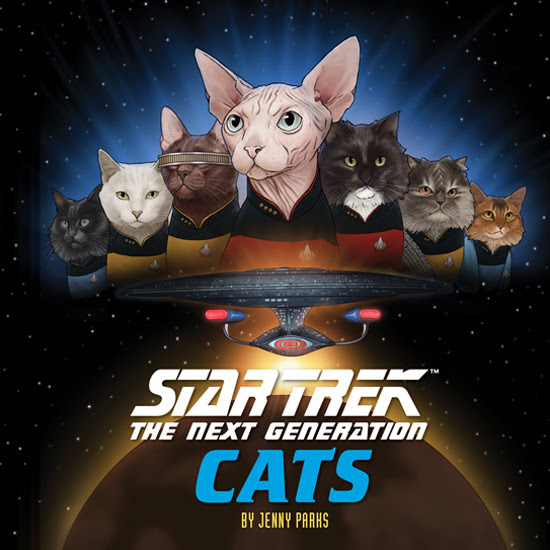 Star Trek Cats is a series of Star Trek products featuring Star Trek characters reimagined as cats by artist Jenny Parks. 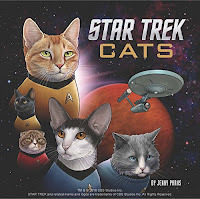 The series began with a book, published by Chronicle Books, based on TOS, accessories and a calendar followed, based on the original artwork, and later a TNG book too. This list is split into four cat-egories, publications, clothing and accessories, gadgets, and misc. 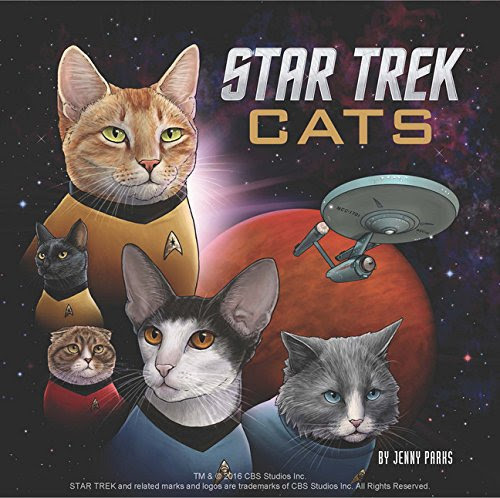 Overview: Hardcover book featuring the TOS crew. 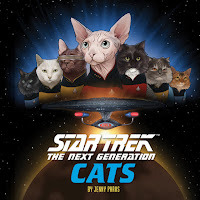 Overview: Hardcover book featuring the TNG crew. Coverage: Cover and excerpt, except. Page created 24th September 2017. Last updated 22nd February 2019. 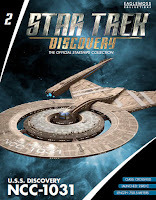 Star Trek: Discovery - The Official Starships Collection is a series of model starships with accompanying magazines, published by Eaglemoss from early 2018. It is a spin-off series from the long running Star Trek: The Official Starships Collection, focusing solely on Discovery. 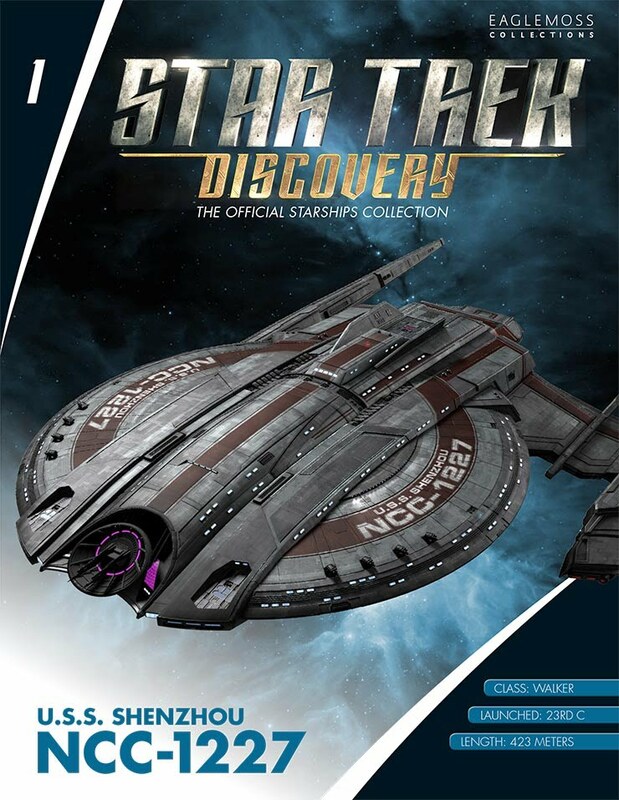 The series follows the same basic structure as the original Starships Collection, with each issue including a model starship, and a magazine detailing the ship from both an in-universe and production point of view. 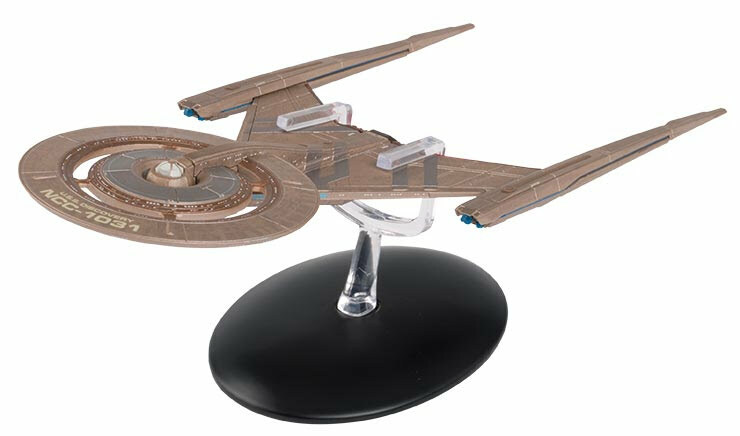 The models are larger than standard size in the former collection however (similar sized to the occasional "special" issues of the previous series), and are released monthly (rather than fortnightly). 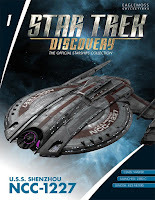 So far Eaglemoss have announced plans for the series to run for at least twenty issues - The previous series was extending multiple times over it's run, and the number of ships available will of course depend on how long Discovery continues to be produced. This list is in release order. Coverage: Renderings, New York Comic Con model displays, model photos and video, high res photos, revised paint-job model photos and cover, rendering, more model photos, unboxing video, 360 video, promotional poster images, Anovos photos. Purchase: Amazon, Things From Another World, Entertainment Earth, Forbidden Planet, Eaglemoss (US). Coverage: Renderings, New York Comic Con model displays, model photos and video, high res photos, revised paint-job model photos and cover, rendering, 360 video, promotional poster images, Anovos photos. Page created 18th September 2017. Last updated 24th April 2018. Miniature Editions are a series of novelty gifts published by Running Press, each comprises a small model, sometimes with light and/or sound features, and a short booklet detailing the subject matter. Running Press produce Miniature Editions based on numerous popular culture subjects, including several based on Star Trek, since 2013. 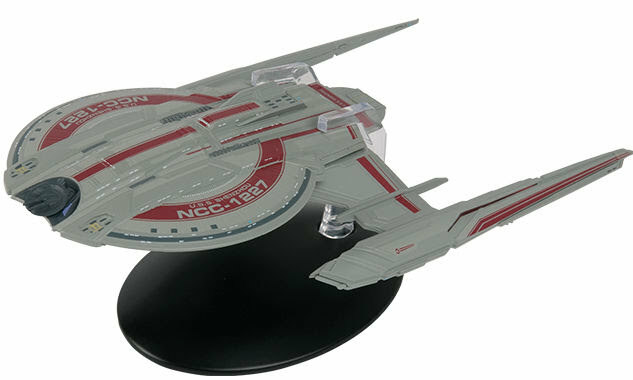 To date the Star Trek sets have all been small model starships, or miniature props. The first four releases were all based on TOS, while later releases moved on to TNG subjects. 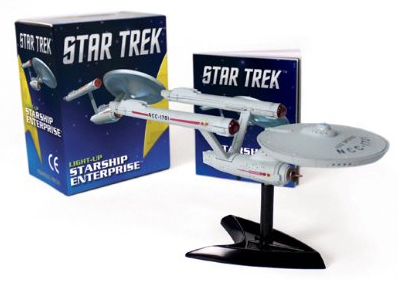 Chronicle Books have also released a similar gift and book set, Mr. Spock: Logic & Prosperity Box, released in 2013, which includes a small bust of Spock along with a booklet. The following list is in publication order. Purchase: Amazon.com, Amazon.co.uk, Amazon.ca, Amazon.de, Amazon.fr, Amazon.es, Amazon.it, Amazon.co.jp, Forbidden Planet.